What do your children know about Memorial Day? This is a day when we remember the bravery and sacrifice of those who fought and defended our freedom. This short Memorial Day quiz will teach your kids why this holiday matters to their freedom and their future. We also have a Memorial Day word search and crossword puzzle to help your kids understand what this day is all about. 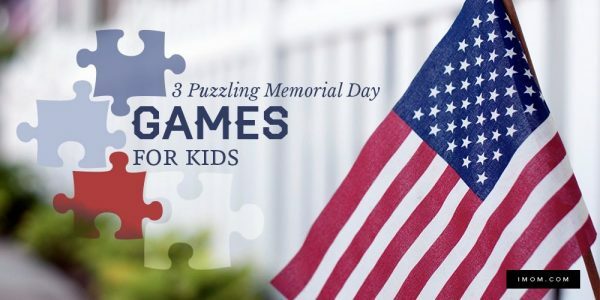 See how well your kids do on this Memorial Day trivia. 1. What day of the week is Memorial Day celebrated? 2. Who do we honor on Memorial Day? 3. Waterloo, New York has been named the birthplace of Memorial Day by which President? 4. What is the largest national cemetery named? 6. There is something unique at the Arlington national cemetery. What is it? 7. How many soldiers were originally buried at the Tomb of the Unknown Soldier? 8. As of 1998, how many soldiers are currently buried at the Tomb of the Unknown Soldier? 9. Who has been credited as being the first to declare that shops are closed for one day to honor the soldiers coming back from the Civil War? 10. In 1866, townspeople and live soldiers placed flowers on the graves of fallen soldiers. Before it was Memorial Day, this day was called? What piece of trivia would you add? Why do we celebrate Memorial Day? This is a day when we remember the bravery and sacrifice of those who fought and defended our freedom.